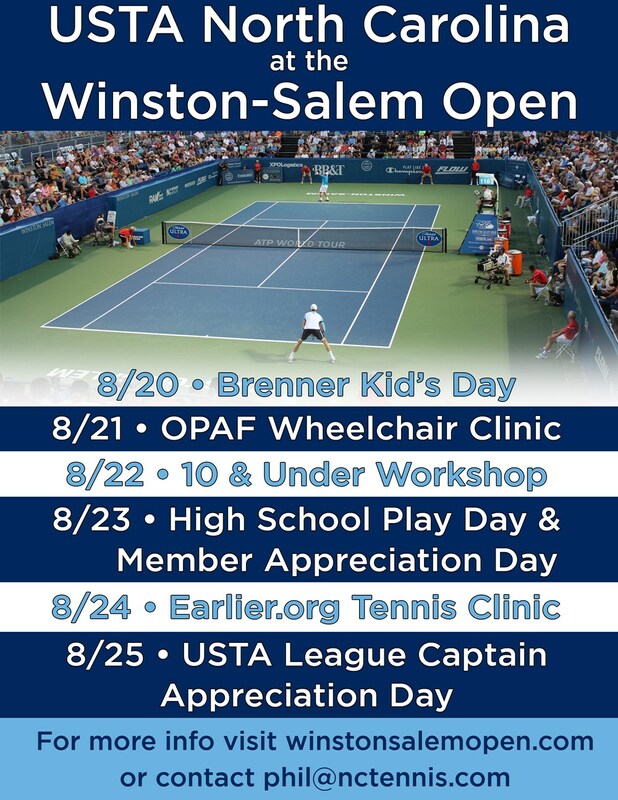 Join USTA NC for an elite tennis clinic experience, along with a Panera lunch AND a ticket to the afternoon session of the 2016 Winston Salem Open onWEDNESDAY, August 24th, 2016.100% of your registration fee is generously donated toEarlier.org and supports critical research seeking an earlier biological detection test for breast cancer. 100% of your registration fee is generously donated toEarlier.org and supports critical research seeking an earlier biological detection test for breast cancer. Registration is OPEN, but limited. REGISTER TODAY! Please do not hesitate to contact Kelly Gaines (kelly@nctennis.com) or me if you have any questions regarding this fabulous event!